Have you ever looked, touched, tasted, sniffed and listened to your food really closely? While a third of 11-year-old children in England are categorised as overweight or obese, Slow Food UK believes a significant way to constructively address these societal issues is through education and positive engagement with healthy, nutritious food. This is why we have created Slow Food Kids, which encourages children to think about food and why it is important to diversify their diet. 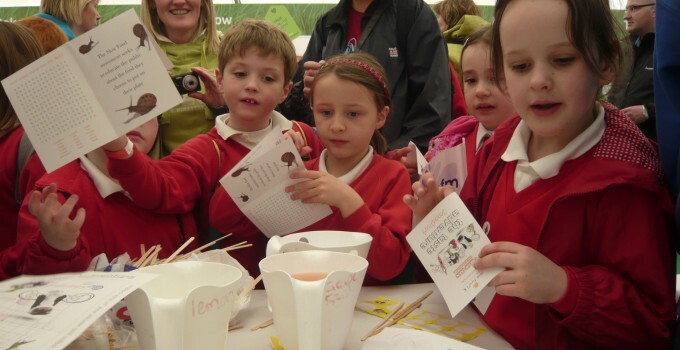 Slow Food Kids encourages children aged 4 to 12 to experience food in an entirely new way, through each of their five senses: Seeing, Hearing, Smelling, Touching and Tasting. 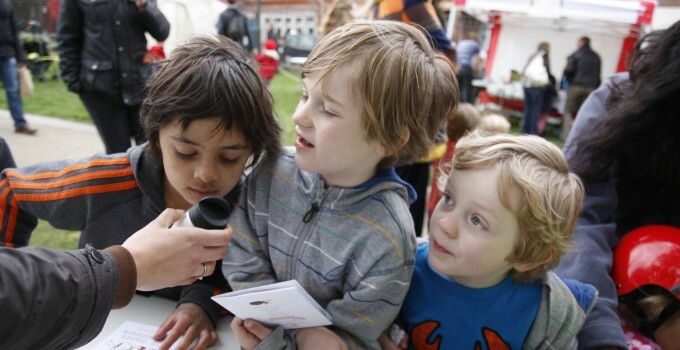 The activity is run by local groups, and the educational kit can also be made readily available to anyone, so that Slow Food Kids can be run by volunteers at festivals, schools and even markets. 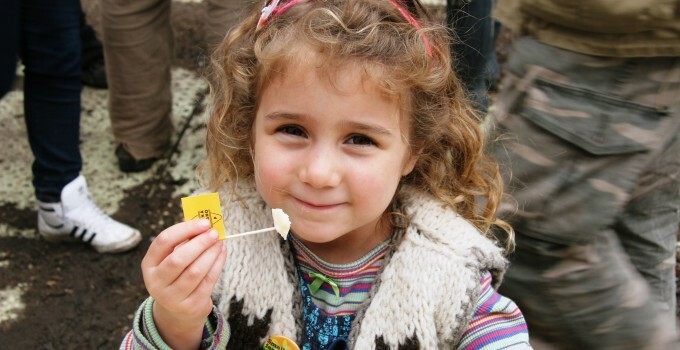 Slow Food Kids inspires children to be curious about food, try new things and learn more about where their foods come from. 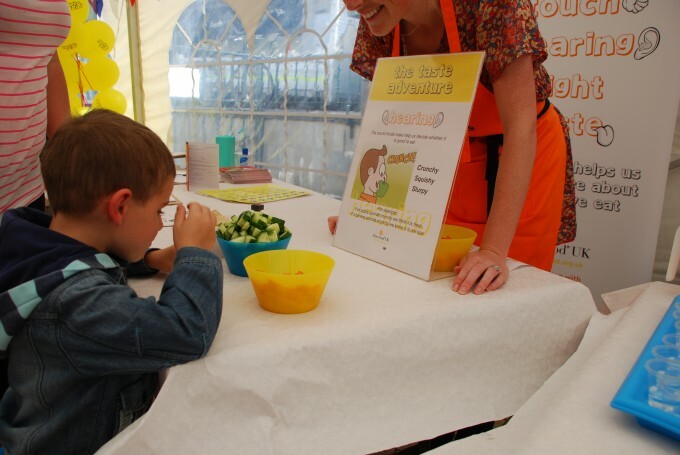 Demonstrating that food can be fun, exciting and enjoyable is an important step in encouraging children to take an interest in what they eat. Slow Food UK launched Slow Food Kids (under the name of ‘The Taste Adventure’ at that time) at the Children’s Food Festival organised by the Northmoor Trust in South Oxfordshire in June 2010. If you want to bring Slow Food Kids to your local event please click here to fill out the on-line order form, and a member of our education team will contact you shortly about availability and pricing. For any queries, please email education@slowfood.org.uk or call 0207 099 1132.